Santa Fe’s geography has provided for a sound, dynamic economy based on agriculture and manufacturing. With a vast environmental diversity, good climate and strategic geographical location, Santa Fe offers many productive possibilities. Santa Fe offers a sound infrastructure with railroad lines, roads, highways and ports that provide excellent connectivity. Located in the most fertile and dynamic region of Argentina, Santa Fe contributes 21% to the total grain production, almost 16 million tonnes a year. The main crops are: wheat, corn, sorghum, sunflower and soybean. Soybean accounts for 60% of the total grain volume produced in the province, followed by corn and wheat. Besides regional crops, flaxseed, barley, rice, cotton and sugar cane are also grown, as well as vegetables and fruits, especially strawberries. Cattle raising is also crucial for Santa Fe economy. Approximately 6 million hectares are dedicated to pasture grazed cattle. Beef cattle are predominant and represent 12% of the total national heads, reaching 6.3 million. 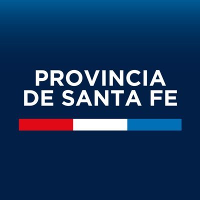 Located in a region that concentrates most of the manufacturing in the country, Santa Fe offers a sound infrastructure with railroad lines, roads, highways and ports that, together with the Parana – Paraguay Waterway provide excellent connectivity. Facilities process agriculture and industrial products for the most part. Most of the manufacturing facilities are located in the south. Population density in the area provides skilled labor, financial services and a large market. There are oil distilleries, petrochemical companies, meat processing plants, textiles, plastic and car manufactures as well as footwear and furniture. Agroindustrial facilities are mostly located in the north. For the most part, agriculture based raw materials, oils, beef, cotton and sugar. Farm machinery is manufactured in the south center. To the west we find food and metal working plants. The west features dynamic production, including milk, dairy products, car parts, wood and leather furniture, as well as food processing equipment and metal works for industrial uses. In 2011, manufacturing produced over 1 billion dollars at 1993 constant prices, 14.3% up from the previous year and an average growth of 8.9% in the past five years. The Industrial Geographical Gross Product in the province represents 8.99% of the national manufacturing in 2011.